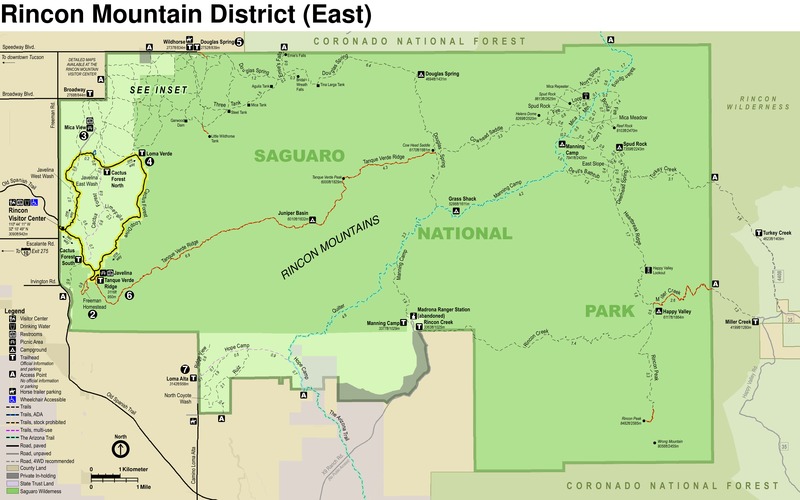 The Heartbreak Ridge trail is a backcountry connector trail located in the southern Rincon Mountain area partially along its namesake ridge. It emanates from Happy Valley Saddle and terminates at the Four Corners junction not far from the summit of Mica Mountain. 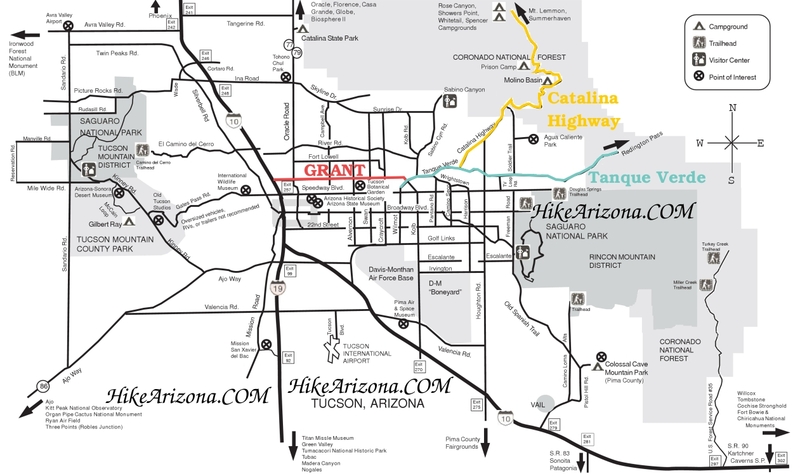 The trail gains just slightly more than 1500' along its 4.2 mile course. This description will assume an ascent. 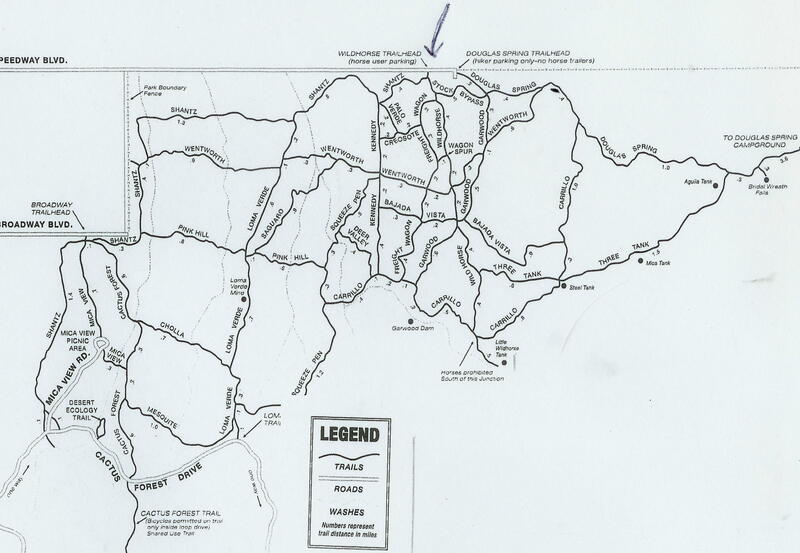 The lower trailhead is at a junction with the Miller Creek trail located roughly one-half mile from the Happy Valley Saddle campground. The trail begins to climb through mixed scrub along a sandy course that is characteristic of this elevation in the Rincons. The climb here is not severe, but seems relentless as you surmount a number of minor saddles before the scrub gives way on a rocky platform that marks the beginning of a staircase climb. This is the first real vista, providing excellent views of Rincon Peak and Madrona and Rincon Valleys. The trail now beings a switchback course along the exposed ridgeline that is studded with stone steps. The steps are well spaced and had seen recent maintenance in the spring of 2010. The ascent continues this way for slightly more than a mile and a half with intermittent patches of scrub providing escape from the southern exposure along the way. The views of Rincon Peak and the valleys below only get better with each few dozen feet of elevation gain, most of which occurs during this section of the trail. The price paid for these views is exposure and the trail gains most of its elevation along this section. The staircase ascent ends abruptly as the trail winds around to the west and then east of a minor peak along the ridge. The views disappear but the Heartbreak Lookout trail appears in their place. The views from the Lookout area of Happy Valley, Turkey Creek, and beyond are unlike anything found elsewhere in the Rincons. After leaving the junction with the Lookout trail, Heartbreak now meanders through a welcome riparian meadow shaded by mixed oak and a few scattered pine. The trail keeps a nearly straight northerly course as it slowly ascends through the meadow. There are sections where the course becomes difficult to follow in the grass and understory, but route finding is made greatly easier by the fact that the trail keeps along a basically straight course. There are a few small washes along this section that probably house pools in the wetter months. This is probably also an excellent area for wildflowers when in season. After about a mile, the ridgeline reappears and the trail surmounts a minor saddle. After this saddle, the trail descends slightly and then begins to level, encountering the junction with the Deer Head Spring trail. After the junction, the trail beings to climb once again and the views disappear permanently as pine become more abundant and the track starts to change from mixed grass to a pine bed. 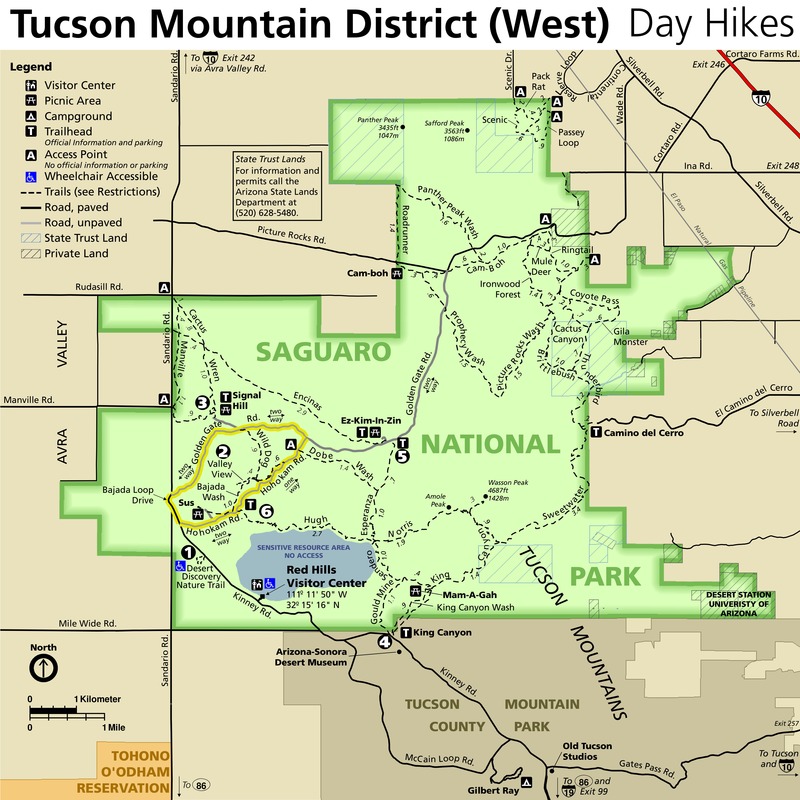 After one-half mile, the trail ends abruptly at the Four Corners Junction between the Heartbreak, Fire Loop, Devil's Bathtub, and Spud Rock trails. 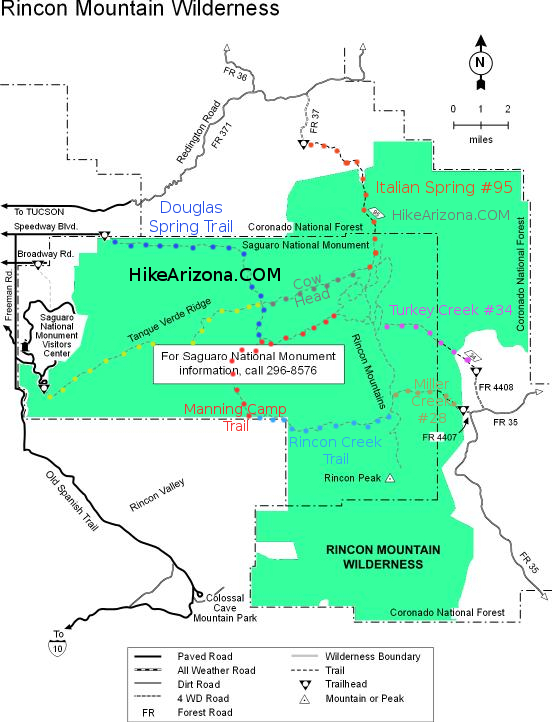 Trail can be reached from Miller Creek trail or from the Mica Mountain complex by a variety of trails.